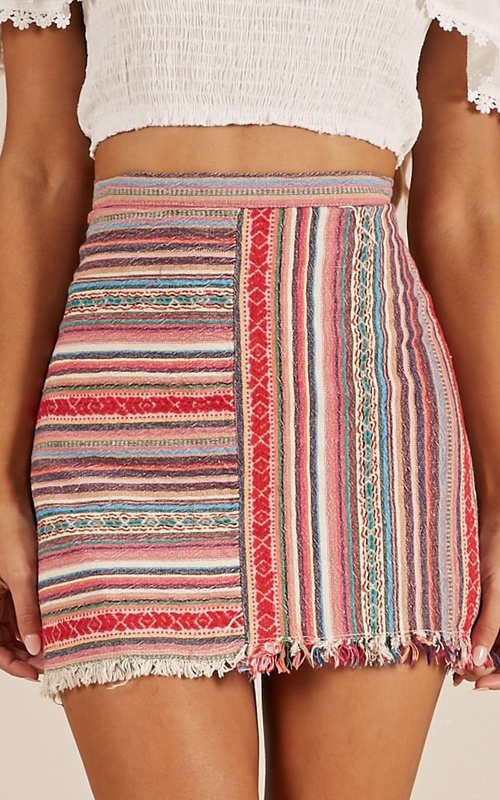 This skirt will really spice up your life! The colourful patterns make any top pop and the short cut shows off those tanned pins in the summer. 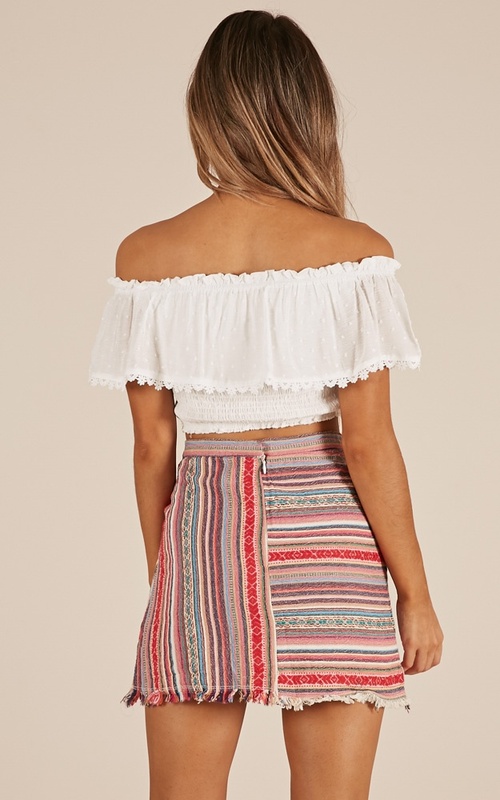 Wear with crochet tops and sandals for the perfect go to look! If you are feeling adventurous, pair with gladiator sandals and aviators. Filter By Height: Show All 5'4" 5'5" 5'6" 5'7" 5'10"
Absolutely LOVE this skirt, however I also had it rip along the seam the first time I wore it. It fit really well so wasn't due to being too tight. SO in love with this skirt! 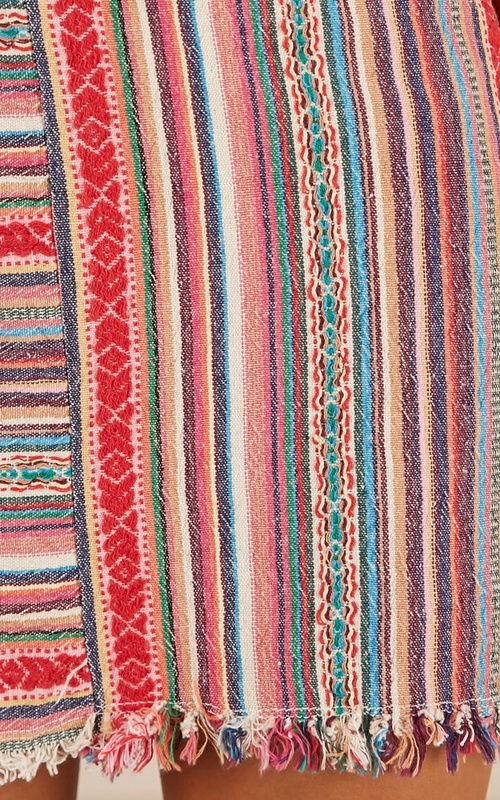 The colours and patterns compliment each other so well. The material is beautiful too! This skirt is GORGEOUS! True to size, but the first time I wore it it ripped without me even knowing how, and it fit perfectly so it wasn’t the size. The quality is a bit sad.